I absolutely love dolphins, and I was hoping we’d get a chance to see one or two whilst we sailed through the waters of the Galapagos islands with Happy Gringo. So imagine my delight as our guide excitedly told us to move to the front of the catamaran as we were about to encounter a pod of dolphins! As we raced to the front, the scene ahead of us was simply unbelievable! 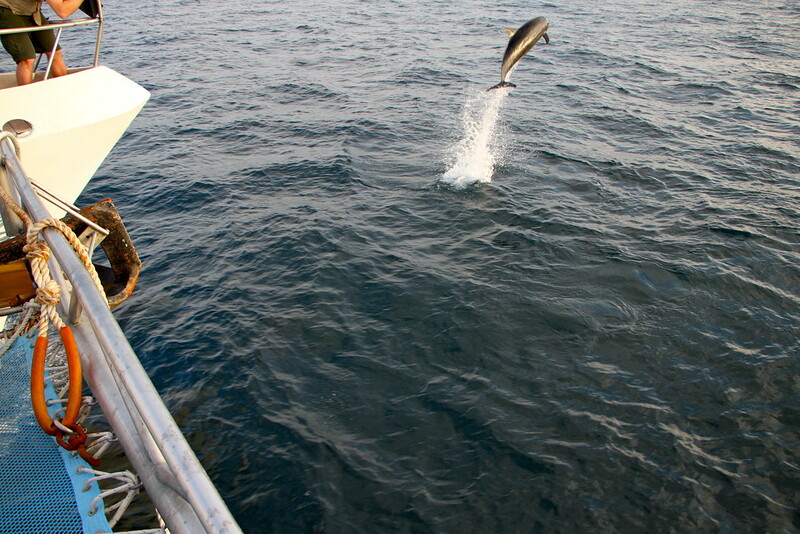 Upwards of 200 dolphins were crossing our path, and as we got closer, they turned and began swimming alongside the catamaran, treating our boat as a bit of fun as they criss-crossed underneath and alongside us! And then, after a few minutes, the real show began! 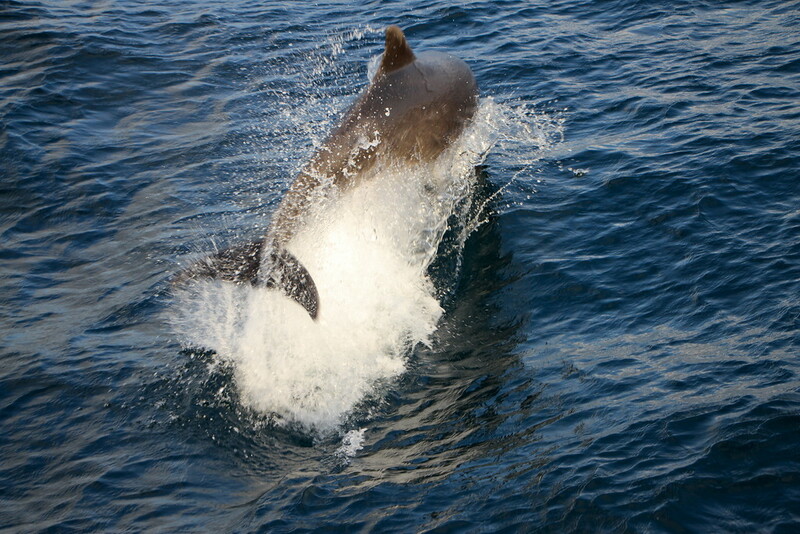 Some of the dolphins started launching themselves out of the water! Not just a foot or so, some reaching heights of 5 metres and more out of the water! It was as if it was a competition to leap the highest! One of our fellow passengers was in the right place at the right time, and caught this spectacular footage of the dolphins launching out of the water! Enjoy! This was an incredible highlight of our time in the Galapagos islands, and one we will never forget!